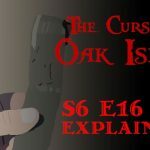 The following is a Plot Summary and Analysis of Season 5, Episode 8 of the History Channel’s TV series The Curse of Oak Island. Later, Rick and Marty Lagina, Dan Blankenship, Craig Tester, and Jack Begley meet in the War Room, where Craig reveals the results of the carbon dating analysis of the two human bones brought up from H8. The bone which DNA analysis indicated belonged to a person of Middle Eastern ancestry was carbon dated from 1682 to 1736, while the bone belonging to a person of European descent was dated from 1678 to 1764. 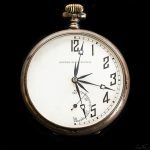 Marty Lagina and Dan Blankenship express their astonishment at the dates, and the fact that the bones of two different people were recovered from the Money Pit. Later, the Oak Island team meets with Doug Crowell at the Mug & Anchor Pub in Mahone Bay. Crowell brings up the mysterious map and documents introduced in the Season 4 Premiere of The Curse of Oak Island and, upon being prompted by Rick Lagina, reminds the crew that New York-based researcher Zena Halpern claimed to have found these documents hidden between the pages of an old book. He goes on to inform us of a sentence inscribed in the corner of one of Zena’s documents- French words loosely translated as “a small gift for Francois de La Rochefoucauld”- and states that further research into the surname ‘La Rochefoucauld’ indicates that the man for which Halpern’s documents were apparently intended as a gift had a familial connection with Crusader kings. “Dating back to the 10th Century,” the narrator explains, “the French noble family La Rochefoucauld were a powerful house from the ancient region of Neustria. Their lineage can also be traced to the Lusignan family, who were among the ruling class in the Holy City of Jerusalem during the Crusades. Their bloodline also extended to George Washington, Winston Churchill, and even Prince Charles of England [the current heir apparent to the British throne].” In order to follow up on this lead, Crowell claims that he will search through some old historical books in the Centre of Geographic Sciences (COGS) in Lawrencetown, Nova Scotia, where he works, and invites the Oak Island crew to join him. Alex Lagina agrees to take Crowell up on his offer. 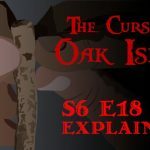 The following day, Rick and Marty Lagina, Dave Blankenship, and Gary Drayton embark upon a metal detecting excursion on Oak Island’s Lot 16, where two 17th Century British coins were discovered in Season 5, Episode 3. Drayton quickly unearths part of a small horseshoe, which he suggests is a relic of Oak Island’s agricultural past. After resuming the search, Drayton remarks upon the abundance of ‘wells’ in the area- depressions in the soil which Marty suggests are actually the remains of old ‘search pits’. 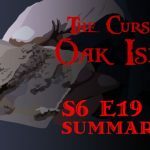 The conversation soon turns to tales of phantom digging noises various treasure hunters have reported hearing at night on Oak Island throughout the years. Rick then relates a ghost story told by the late Oak Island treasure hunter Fred Nolan. 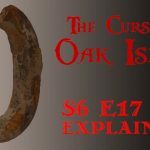 According to this story, one night, some treasure hunters heard digging sounds in the forest on Oak Island and went to investigate. At the site at which the noise seemed to have emanated, they discovered a hole in the earth, along with indications that something had been dragged from the hole towards the beach. They followed the trail through the woods and arrived on the beach just in time to see men finish loading a chest into a ship. Too afraid to make their presence known to the looters, the treasure hunters watched in horror as the ship disembarked and vanished into the night. 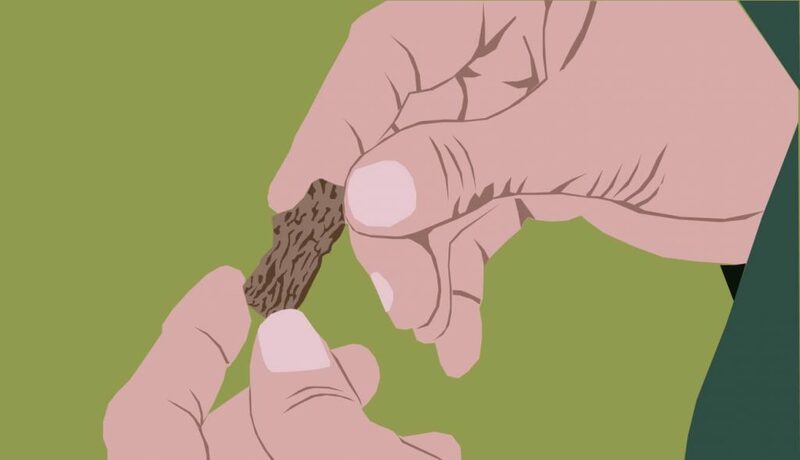 “Well,” says Gary Drayton in response, “let’s see if they missed something good.” With that, he heads deeper into the woods, where he unearths an egg-sized ball of iron which he suggested is a piece of grapeshot intended as cannon ammunition. Close by, he discovers an irregularly-shaped coin with severely faded features, which he suggests was struck in the 17th Century. While the four men continue their metal detecting operation, Alex Lagina, Peter Fornetti, and Charles Barkhouse travel to COGS in Lawrencetown, Nova Scotia, where they meet with Doug Crowell. 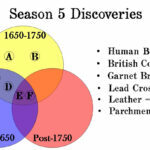 The four men proceed to search through a number of old history books in the hope that they might come across some sort of connection between the La Rochefoucauld family and Oak Island. Soon, Crowell comes across an old map of the Acadian coast drawn up by 16th/17th Century French explorer Samuel de Champlain. Crowell and Barkhouse discuss the potential implications de Champlain’s curious omission of Mahone Bay (in which Oak Island is located) in this map. Both historians speculate that the omission was deliberate, implying that de Champlain might be connected in some way to the Oak Island mystery. 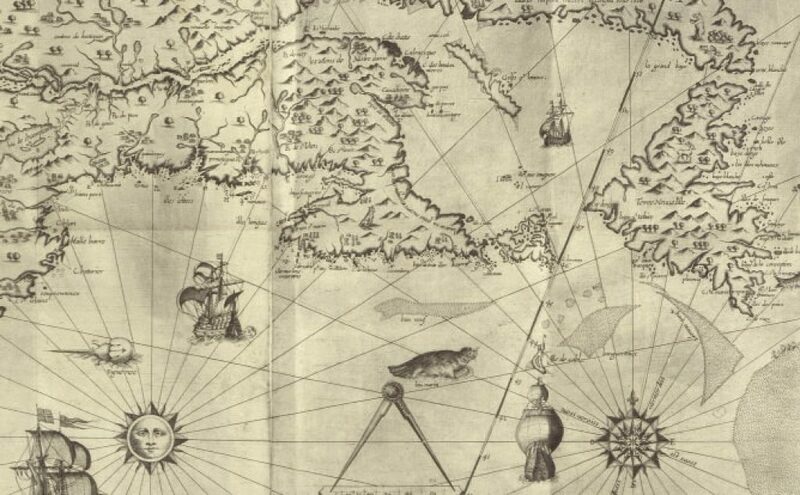 A section of Samuel de Champlain’s map depicting the Canadian Maritimes. Later, at Drillhole H8, Rick and Marty Lagina and Craig Tester inspect the hammergrabs which will be used to excavate the H8 shaft. 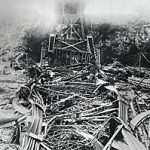 The narrator then informs us that the 50-inch-wide caisson which will be used in conjunction with the hammergrab, and which has yet to arrive on the island, was custom built in South Korea. Back at COGS, Doug Crowell shows Alex Lagina, Peter Fornetti, and Charles Barkhouse a biography of Pierre Dugua, Sieur de Mons, a 16th/17th Century French explorer who founded the first permanent French settlement in Canada, and for whom Samuel de Champlain worked as a cartographer. On the first page of this book is a family tree depicting Pierre Dugua’s genealogy, which indicates that a man named “Francois de La Rochefoucauld”- who bears the same name as that which appears in the margins of Zena Halpern’s aforementioned map- married into the Degua family. 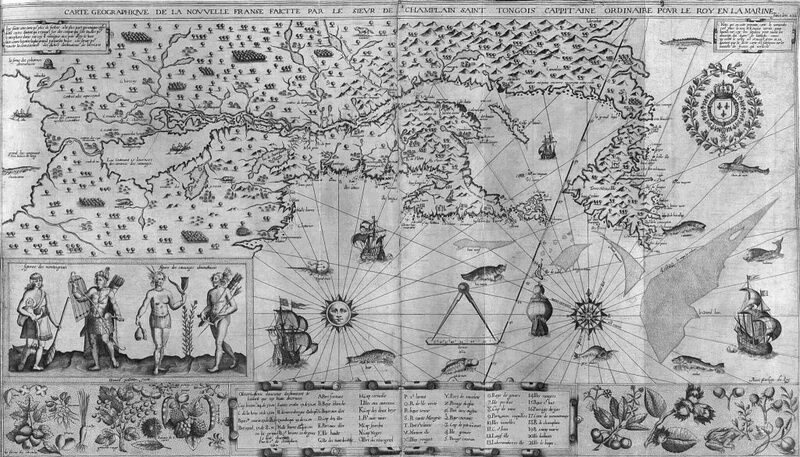 The narrator then speculates that Samuel de Champlain might have neglected to include Oak Island in his map of the Acadian coast on the orders of this mysterious relative of his superior. Later, in the War Room, Rick Lagina meets with his nephew Alex Lagina. There, Rick informs Alex that he has hired a French researcher and translator named Nichola Lewis to get in touch with members of the La Rochefoucauld family who own Chateau de La Rochefoucauld, a castle in southwestern France and the historic seat of the La Rochefoucauld family. The two Laginas then contact Lewis via video chat. The French researcher informs the treasure hunters that she has indeed secured an invitation to Chateau de La Rochefoucauld for the Oak Island team from Sonia Matossian, the castle’s owner and a member of the La Rochefoucauld family. Rick and Alex accept the invitation and decide to head to France with Peter Fornetti in order to meet Sonia Matossian and get to the bottom of the La Rochefoucauld mystery. Later, the Oak Island crew meets with Mike Jardine of Irving Equipment Ltd. at Drillhole H8. There, the treasure hunters and contractors stand by as the enormous custom-made caisson sections are delivered to the Money Pit area and the toothed starter caisson erected over top of H8. 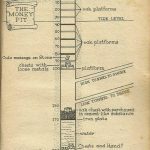 On a whim, Marty Lagina jumps up onto the work platform and writes “DAN’S BREAKTHROUGH” on the starter caisson, his inscription being a reference to the hope that the H8 shaft will yield “breakthrough” artifacts of historical significance, thereby justifying Dan Blankenship’s 50-year-long treasure hunt. Following that, Jack Begley similarly climbs up onto the platform and writes “FOREVER FAMILY -DT” on the caisson- the same words, an emotional Begley explains in a later interview, which his late step-brother Drake Tester inscribed on the GAL1 caisson the previous year. That accomplished, the crew stands by as Dan Blankenship presses the button which sets the oscillator into motion. In this episode, the human bones found in Drillhole H8 were carbon dated from the late 17th to the early-mid 18th Century. 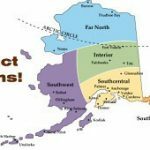 Specifically, the bone belonging to a person of Middle Eastern ancestry was carbon dated from 1682 to 1736, while the bone belonging to a person of European descent was dated from 1678 to 1764. Both ranges of dates are congruent with a number of Oak Island theories, including the Captain Kidd theory, the William Phips theory, and the Freemasonic Theory. In her book, Halpern translated this message as: “This drawing for M. Francois Rochfaucauld, a little drink learned from Neustria.” Interestingly, the words “d’appre Neustria” (“d’appre” is not actually a French word, modern or otherwise) are situated in close proximity to one another, suggesting that they comprise a single compound word consisting of “apprendre” (“to learn”) and “Neustria”, the western part of the Dark Age Merovingian/Carolingian Kingdom of the Franks, located in what is now Northern France. 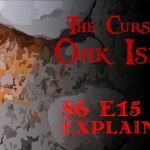 In addition to the note, this particular document contains a labelled map of what is presumed to be Oak Island, first shown in Season 4 of The Curse of Oak Island. 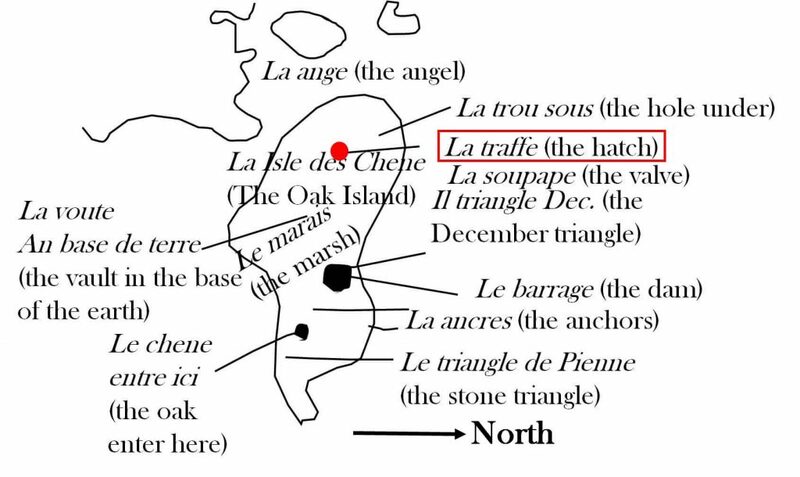 A interpretation of the ‘Oak Island’ portion of Halpern’s map with added translations and an emphasis on “the hatch,” which was explored back in Season 4. 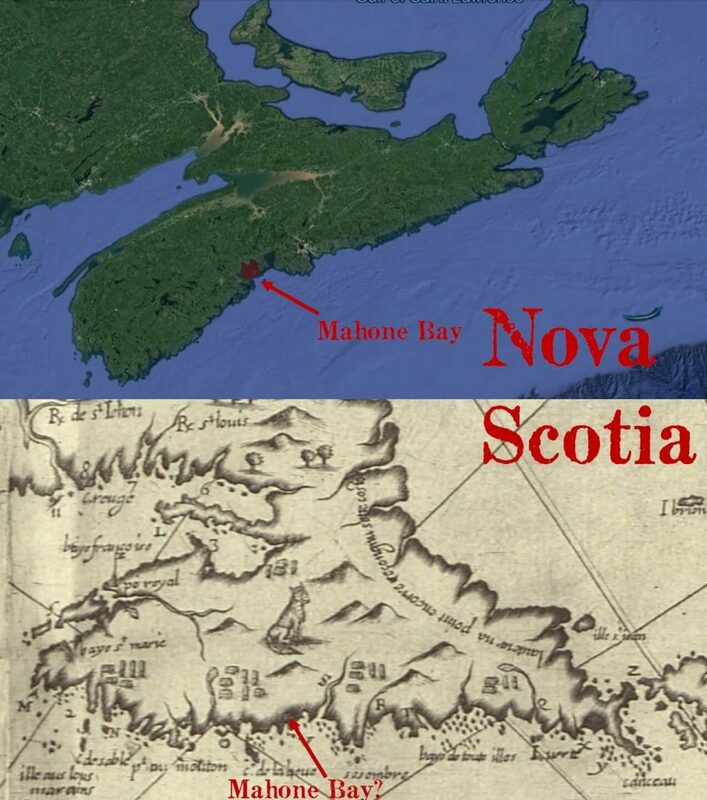 The map also includes a depiction of a section of the Nova Scotian mainland and what appears to be Frog Island, a small isle located a short distance northeast of Oak Island. Halpern translated the old French labels attached to Frog Island as: “The Landing; One Thousand three hundred forty seven ”; and “Do not go there with the boat,” respectively. Two messages scrawled across the bottom of the document in the same strange variety of French respectively translate to: “The south Indians work very good”; and “The Young Lion of Talmont”, which is accompanied by the symbol of a fish, apparently denoting the ocean. 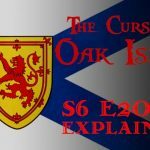 In this episode, Doug Crowell and Charles Barkhouse discuss the curious fact that French explorer Samuel de Champlain neglected to include Mahone Bay, in which Oak Island resides, in one of his maps of the North Atlantic coast. 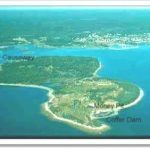 The two historians speculate that Champlain’s conspicuous omission might be an indication that Samuel de Champlain was connected in some way to the Oak Island mystery. An artist’s interpretation of Samuel de Champlain. In order to put this map into context, we must have a general understanding of the New World exploits of Samuel de Champlain, and in order to contextualize those exploits, we must have a general understanding of the great explorer’s place in French history. Samuel de Champlain’s early life is shrouded in mystery. Most historians agree that he was probably born around 1574 (give or take six years) in the town of Brouage on the southwestern coast of France (at that time, a Protestant stronghold) and that his father was a French mariner. Several respected historians have hypothesized, basing their theory on circumstantial evidence, that Champlain was, in fact, an illegitimate son of the man who would become King Henry IV of France, and that his mariner father had adopted and raised him. Similar to his childhood, little is known of Champlain’s adolescence and young adulthood. It is supposed that he apprenticed as a mariner, learning navigational and cartographic skills from his father and uncle. 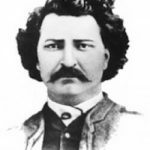 He also became proficient in reading and writing, as evidenced by the large body of written work he would later produce on the subject of his New World adventures. 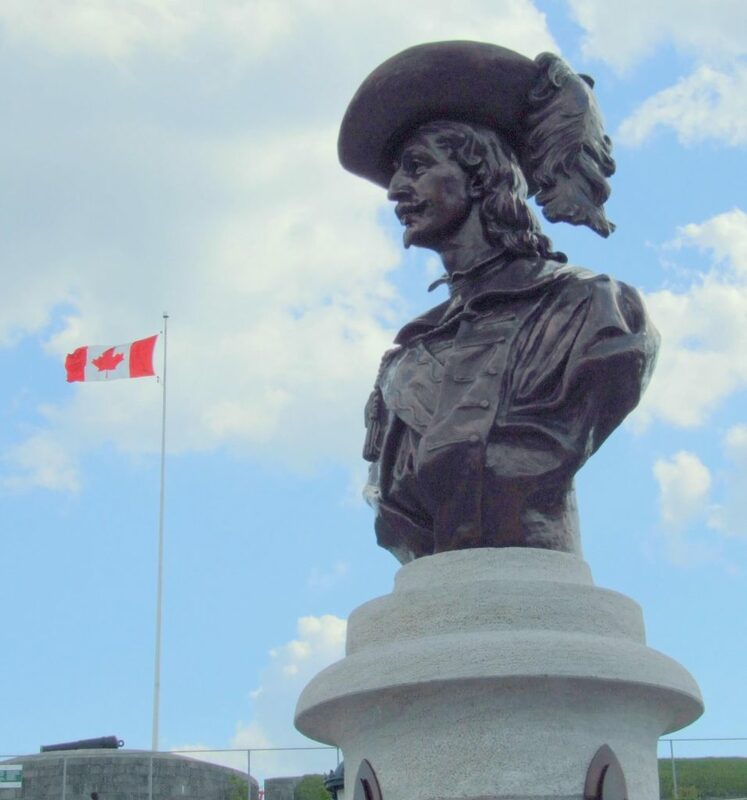 Although the details of Champlain’s early life are obscure, we know that he grew up during a particularly turbulent period of French history known as the French Wars of Religion. 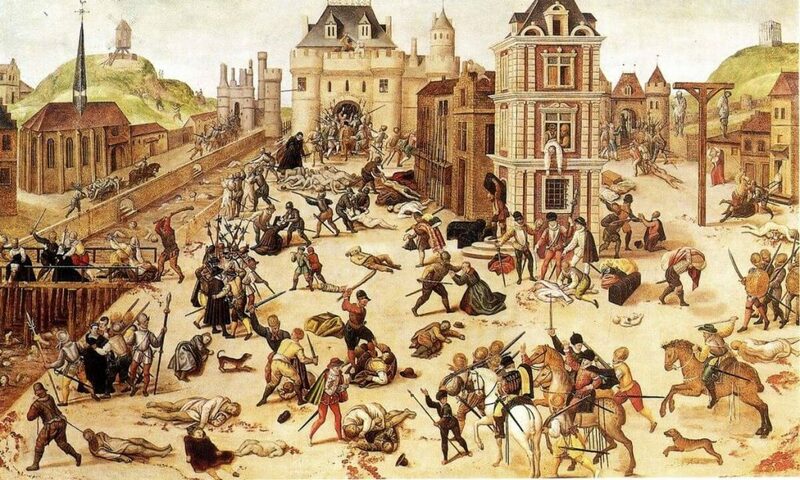 Like the English Civil War, this 36-year-long period characterized by bloody battles and massacres had its roots in the Protestant Reformation, a series of 16th Century schisms in the Roman Catholic Church. Throughout the reign of King Francis I of France (1515-1547), about 10% of the French populace, including nearly half of the country’s nobles, converted from Catholicism to Calvinism. King Francis I began to persecute these French Protestants, called Huguenots, when anti-Catholic placards began to appear in public places in Paris and other major French cities. His son and heir, King Henry II, continued this anti-Huguenot policy upon his ascension to the French throne in 1547. Throughout the course of his reign, tensions between French Catholics and Huguenots grew. On June, 30, 1559, King Henry II of France was killed in a jousting tournament held to commemorate France’s new peace with the Austrian House of Hapsburg and the marriage of the French Princess Elisabeth to King Philip II of Spain. King Henry II was succeeded by his eldest son and heir, 15-year-old King Francis II. Although technically an adult and therefore eligible to rule independently, the teenage king decided to delegate his power to two regents, both of them uncles of his wife, Mary, Queen of Scots, and members of the French House of Guise. King Francis II of France and his wife, Mary, Queen of Scots. 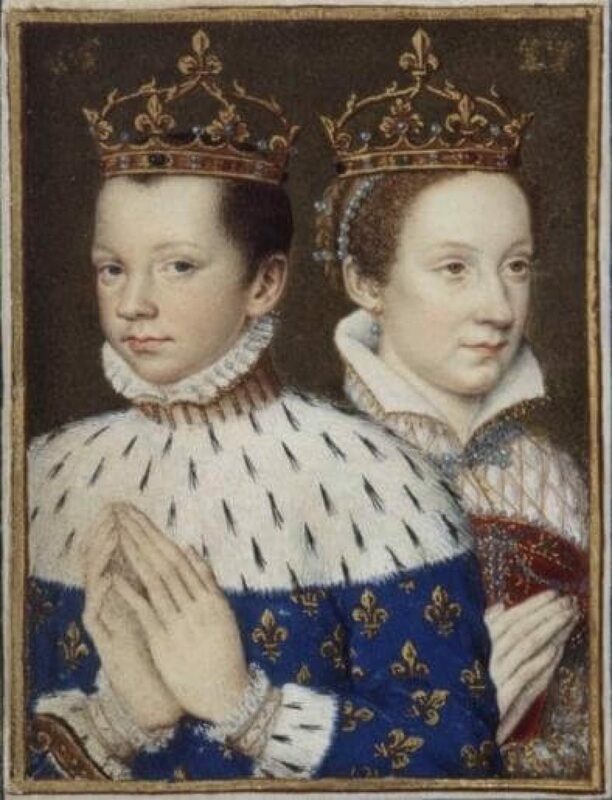 The following year, the young king succumbed to an ear infection and was succeeded by his 10-year-old brother, who became Charles IX, King of France. Due to his age, the boy-king was required to take on a regent. Instead of the Guise brothers, however, his mother, Catherine de’ Medici- a daughter of the powerful Italian House of Medici- was assigned this position. The Guise brothers were loathe to relinquish their power to the Queen Regent and looked for an opportunity to retake the throne. This aristocratic rivalry between Catherine de’ Medici and the House of Guise coincided with a surge of Catholic-Huguenot animosity, and after a religiously-motivated massacre perpetrated by the Guise brothers, France plunged into a three-way religious civil war. The first of the three factions involved in this conflict was headed by the staunchly Catholic House of Guise, which received support from King Philip II of Spain and the Catholic League, a coalition of French Catholic fraternities. 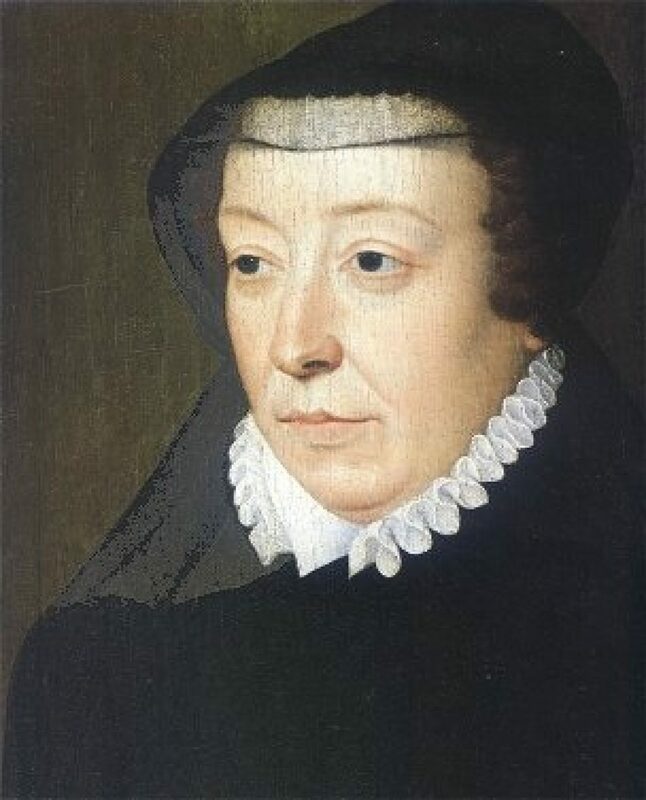 The second faction was headed by the Catholic Queen Regent Catherine de’ Medici, who ruled France through her sons King Charles IX and King Henry III (the latter ascended the throne in 1574 after Charles died of tuberculosis). The third faction, the Huguenots, were led by King Henry of Navarre (Navarre being small Basque kingdom situated between France and Spain), the son-in-law of Catherine de’ Medici (Henry of Navarre married Catherine’s daughter, Margaret of Valois, in 1572) and the man whom some historians suspect might have been the true father of Samuel de Champlain. 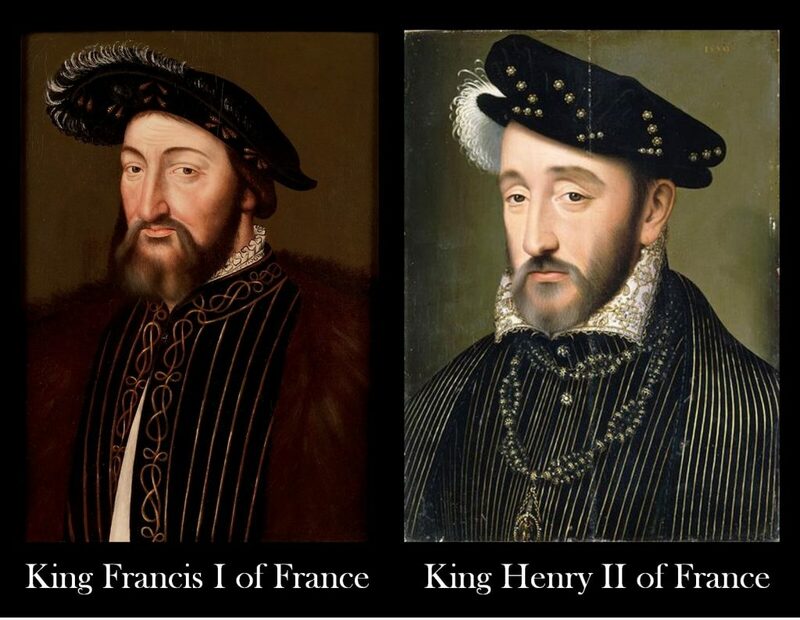 After a series of brutal civil wars and massacres, known collectively as the French Wars of Religion, King Henry of Navarre found himself in possession of the French throne, and was crowned King Henry IV of France in 1589. In order to consolidate his kingdom, he went to war with the governor of the French province of Brittany, a leader of the Catholic League who endeavoured to separate Brittany from France. One of the soldiers who fought for King Henry IV in this war against Brittany was twenty-year-old (more or less) Samuel de Champlain, who picked up an array of martial skills throughout the course of his service. One of the battles in which Champlain is believed to have participated is the 1595 Siege of Chateau de Comper, a castle situated in the Paimpont Forest incidentally associated with the Arthurian Romance and the legend of the Holy Grail (which some believe lies within Oak Island’s Money Pit). Records indicate that, during the war with Brittany, Champlain went on a “secret voyage” on behalf of King Henry IV, about which very little is known today. 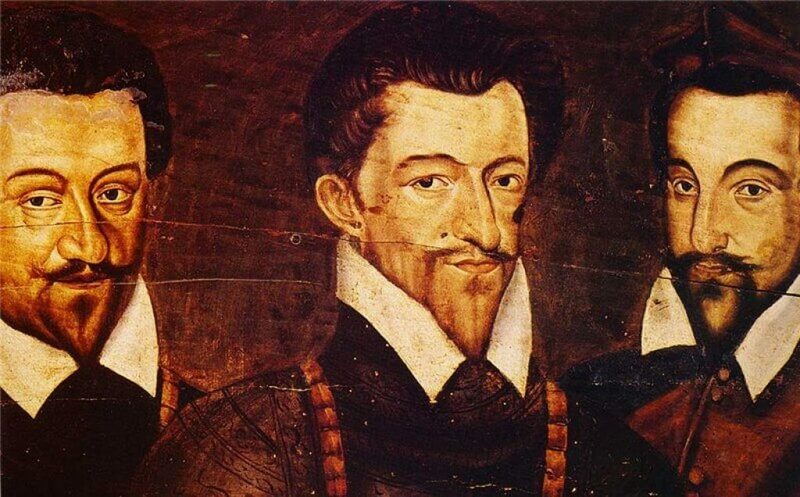 In 1598, following Henry IV’s victory in Brittany and the end of the French Wars of Religion, Samuel de Champlain joined the crew of his uncle, a wealthy corsair named Guillaume Hellaine, and sailed to Cadiz, Spain. There, Champlain was given command of his own ship. In this vessel, he accompanied a Spanish fleet on a journey to the Caribbean, where he remained for two years. During this time, Champlain acted as a spy for the French king, collecting information of Spain’s New World colonies before eventually returning to France and delivering his report to King Henry IV. In 1603, Champlain made his first voyage to North America, serving as an observer in the crew of another of his uncles, navigator and merchant Francois Grave Du Pont. Du Pont was a veteran of trans-Atlantic travel, having already made a number of fur trading expeditions to the land that Breton explorer Jacques Cartier had claimed for King Francis I of France 68 years prior. On their 1603 expedition, Champlain and Du Pont, accompanied by two native guides, sailed up the enormous St. Lawrence River to Tadoussac, a fur trading post establish by Du Pont in 1600, situated near the head of the St. Lawrence Delta, where they encountered and established positive relationships with a chief of the Montagnais Indians. They continued to explore the Saguenay River and other parts of the Laurentian Valley before heading home to France. During this expedition, Champlain produced a map of the Saint Lawrence River, as well as an account of his observations entitled “Des Sauvages,” or “Of the Savages”. No sooner had Champlain returned to France than he embarked upon another expedition to the New World, joining the crew of explorer Pierre Dugua, Sieur de Mons, whom King Henry IV had granted the exclusive right to colonize and establish a fur trade in the area that would one day become known as Acadia (in this episode of The Curse of Oak Island, it is speculated that Pierre Dugua connects Champlain, and by extension Oak Island, to the Holy Land through his relation by marriage to the La Rochefoucauld family, descendants of Crusader kings). After exploring the Bay of Fundy (situated between Nova Scotia and New Brunswick), Dugua’s crew established a settlement on what became known as Ile Saint-Croix, an island located in an inlet off the Bay in present-day state of Maine. Of the 79 adventurers who had set out on this expedition, 35 succumbed to scurvy and other ailments that winter. 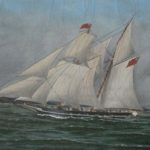 When spring arrived, Dugua, Champlain, and the rest of the survivors sailed across the Bay of Fundy to what is now the west coast of Nova Scotia, where they established the settlement of Port Royal. Out of this small settlement, Champlain spent the following two years exploring and mapping the coast of what would one day become New England. In 1606, Dugua sailed back to France in the hope of securing additional capital for his venture. He was unsuccessful, and sent word to Champlain that their colonial experiment was at an end. In 1607, Champlain and the rest of the colonists returned to France. With him, Champlain brought a map he had drawn of the Bay of Fundy and the New English Coast down to Cape Cod (Massachusetts). Although this map includes the southern section of the Nova Scotia peninsula, the area it depicts is not large enough to encompass Mahone Bay (which Dugua’s company certainly sailed past en route to the Bay of Fundy); the northernmost landmark on the eastern coast of Nova Scotia depicted in the map is the site of what is now the town of Liverpool (located about 60 km, or 37 miles, southwest of Oak Island), which Champlain labelled “Port Au Rossignal”. 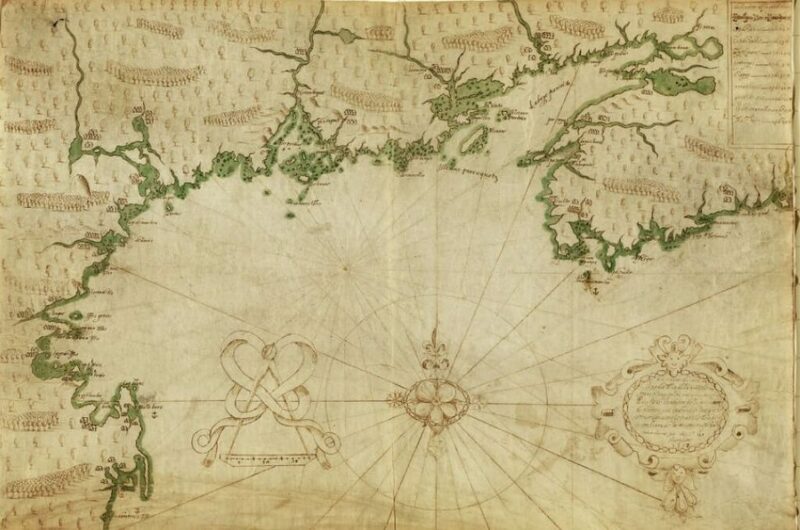 Samuel de Champlain’s map of the North Atlantic Coast from the Bay of Fundy to Cape Cod, dated 1607. After a tough winter which claimed the lives of 20 French colonists, Champlain and his crew formed a trading alliance with three Indian tribes which controlled the territory north of the Saint Lawrence River: the Huron, Algonquin, and the Montagnais. The natives only agreed to this alliance on the condition that the Frenchmen help them fight the powerful, warlike Iroquois Confederacy, which controlled the territory south of the great river. 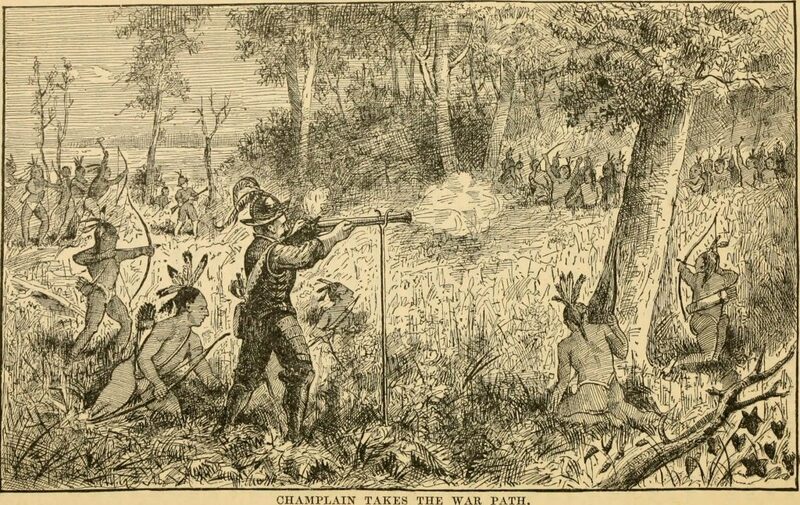 Champlain agreed to the condition, and the Frenchmen soon found themselves on the war path with their First Nations allies. 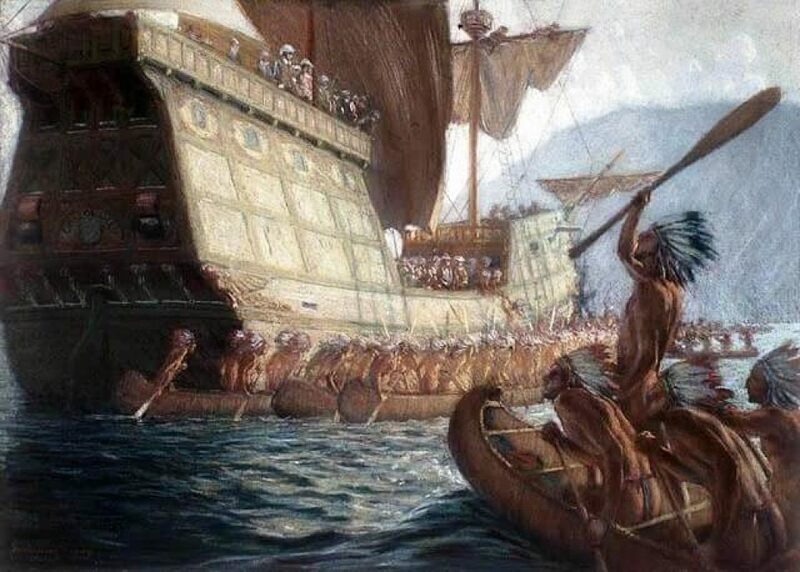 That summer, Champlain and nine of his men accompanied 300 Algonquin warriors up the Saint Lawrence to the mouth of what would become the Richelieu River. The war party followed this waterway south into Iroquois territory. By the time they reached what would become Lake Champlain, seven of Champlain’s men and all but 60 Algonquins turned back on account of the fact that they had not yet encountered any Iroquois. Champlain, his two remaining French companions, and the 60 remaining Algonquin braves continued on to a place near what is now either Fort Ticonderoga or Crown Point, New York. There, they stumbled upon a 200-man Iroquois war party. During the battle that ensued, an Algonquin warrior pointed out three Iroquois chiefs to the Frenchmen, these leaders wearing headdresess that bore taller feathers than those worn by the other braves. Champlain shot two of these chiefs dead with his arquebus- a long matchlock firearm. One of his companions followed suit, killing the last of the Iroquois’ chieftains with his own arquebus. Dismayed at this display of power, the Iroquois broke off the attack and retreated into the woods. 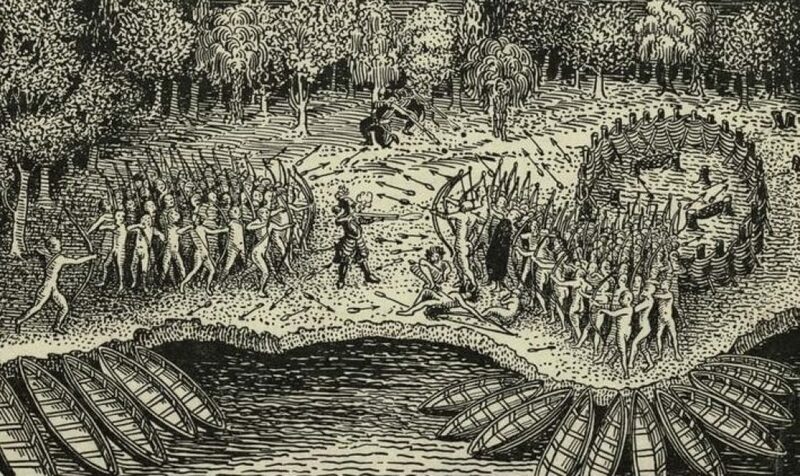 A woodcut depicting this engagement with the Iroquois bears the only surviving contemporary likeness of Samuel de Champlain. That fall, Champlain sailed to France. He returned to New France in 1610, arriving just in time to participate in another military engagement against the Iroquois. 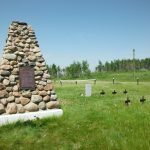 That summer, Champlain and five of his men, all of them equipped with firearms, accompanied 500 Algonquin, Montagnais, and Huron warriors to the mouth of the Richelieu River, where a 100-man Iroquois war party had constructed makeshift fort. The French and Indian force prevailed against the Iroquois in the ensuing battle, further cementing their trade alliance. 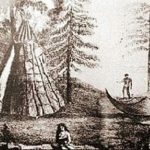 Following the skirmish, Champlain sent one of the men under his command- a young Frenchman named Etienne Brule– to live with the Algonquins in order to learn their language and develop a better understanding of their culture and customs. 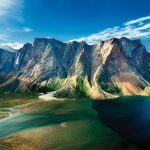 The following year, Samuel de Champlain traveled up the St. Lawrence to a large island on which he established a fur trading post called “La Place Royale.” Throughout the 1600’s, this post would evolve into a thriving colony, and in the 18th and 19th Centuries into the city of Montreal, Quebec. 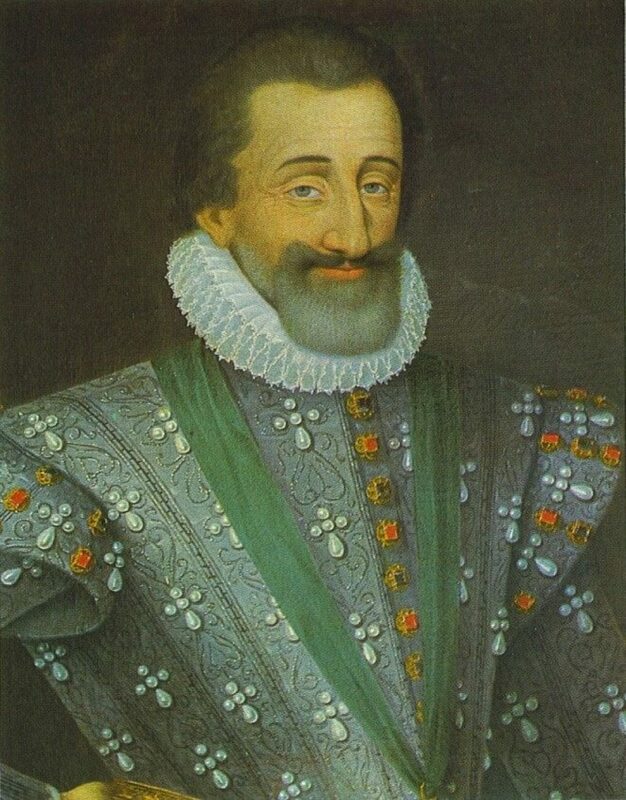 Champlain returned to France that fall, where he learned that King Henry IV had been assassinated by a zealous Catholic servant who resented his policy of tolerance towards Huguenots. The king, who had been a great supporter of Champlain, was succeeded by his second wife, Marie de’ Medici (a distant cousin of Catherine), who had little interest in New France. 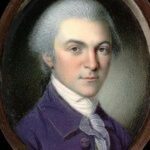 Aware that he needed to make new new allies in the French royal court if he hoped to continue his business in the New World, Champlain married 12-year-old Helene Boulle, the daughter of a powerful French courtier. 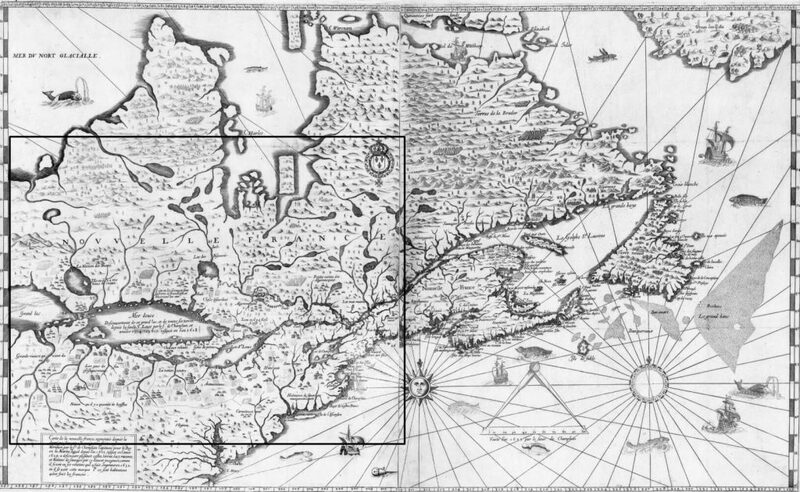 During his visit to the Old Country, Champlain also had an engraving made of one of his maps of New France- the map introduced in this episode of The Curse of Oak Island. As Doug Crowell and Charles Barkhouse correctly observed, Champlain failed to include Mahone Bay in this map- a glaring omission, on the surface. This mistake, however, is but one of many errors which one can easily identify by comparing Champlain’s map to a satellite image of the depicted area. Samuel de Champlain’s 1612 map of New France. New France, as seen on Google Earth. Champlain returned to New France in 1613, whereupon he explored part of the Great Lakes, the Georgian Bay, and the Ottawa River areas. 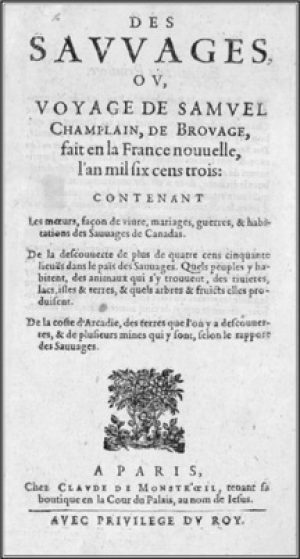 That year, he published an account of his travels, entitled “Les Voyages du Sieur de Champlain”, or “The Voyages of Sir Champlain.” In 1615, he led another military expedition against the Iroquois alongside his First Nations allies, and was wounded in the process, receiving two arrows in his leg. 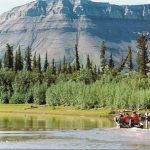 At the behest of his allies, he spent the following winter with the Huron. Champlain spent the rest of his life serving as de facto Governor of New France, although he never officially held that title. In 1632, the middle-aged explorer published his last map, which included parts of New France that he had personally visited, as well as areas of the country described to him by his Indian allies, Etienne Brule, Jesuit missionaries,and other European explorers. Samuel de Champlain’s final map. 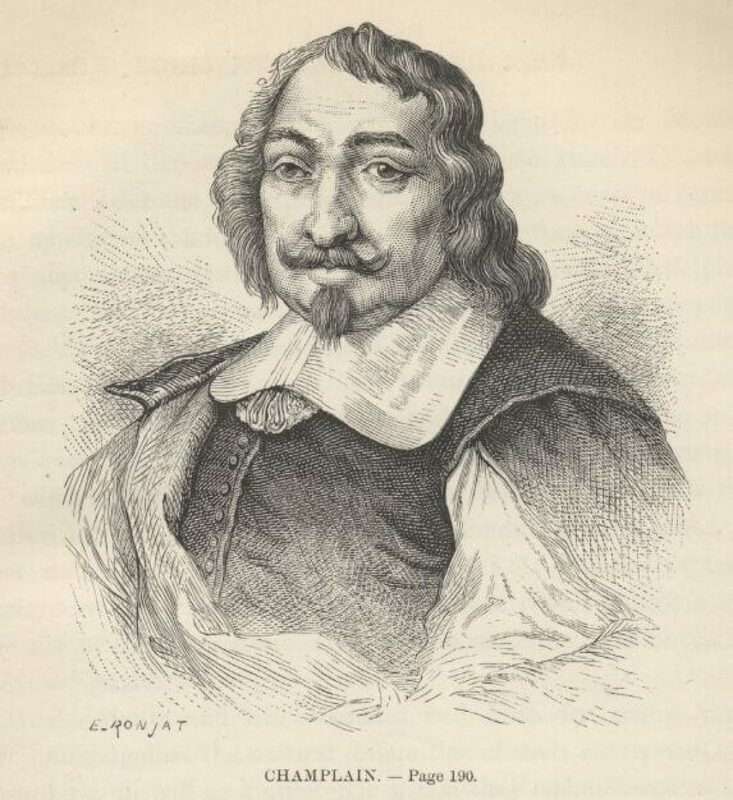 On December 25, 1635, the “Father of New France” passed away in Quebec due to complications associated with a massive stroke he sustained the previous October. Today, Samuel de Champlain’s burial site remains a mystery. In this episode of The Curse of Oak Island, we are introduced to a message written in the corner of one of Zena Halpern’s mysterious maps depicting what appears to be Oak Island. This message is written in some strange form of French which, when translated, reads: “This drawing for M. Francois Rochefaucauld, a little drink learned from Neustria.” Presumably, the “M.” in this message stands for “Monsieur” (the French equivalent of “Mister”; literally “My lord”), and is not “Francois Rochefaucauld’s” first initial. 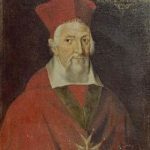 Cardinal Francois de La Rochefoucauld (1558-1645), a high-ranking 16th/17th Century French ecclesiastic who played an important role in the French Wars of Religion. In her book, Zena Halpern hypothesizes that he is the Francois for whom her map was intended. 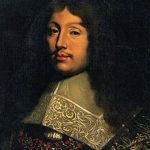 Francois de La Rochefoucauld VI (1613-1680), a 17th Century essayist famous for the maxims (short sayings embodying general truths) he contrived. The Marquis de Montandre (1672-1739), a Huguenot ex-patriot who served as a Field Marshall in the British Army. The Duc de La Rochefoucauld (1747-1827), a French social reformer who, unlike most of his reformist counterparts, supported King Louis XVI during the French Revolution. During the Reign of Terror that followed the execution of the king, this Francois de La Rochefoucauld fled to Canada, where he toured the old stomping grounds of Samuel de Champlain. He recorded his Canadian adventures in a reminiscence, republished in English in 1916 under the title “Travels in Canada”. As was mentioned in this episode, the La Rochefaucauld family is a noble French house which has ties to the medieval House of Lusignan. 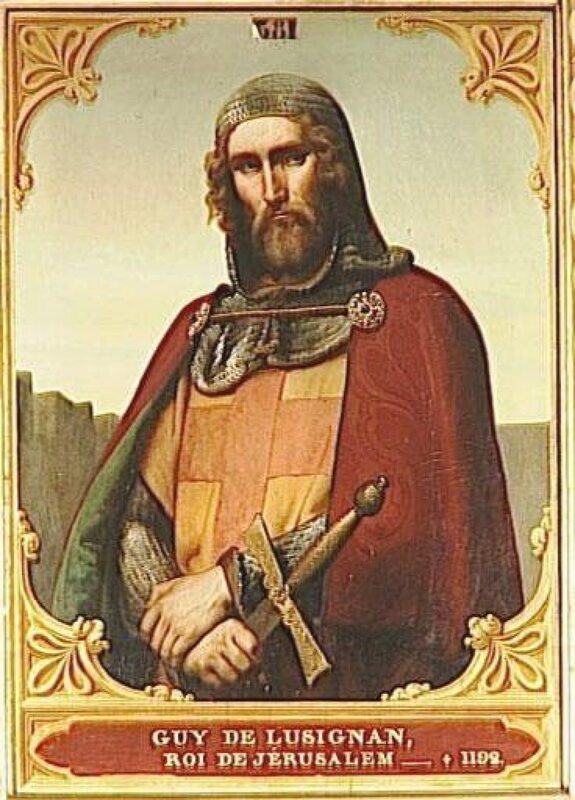 In the 1170’s, in the wake of the Second Crusade, a knight of the Lusignan family called Guy de Lusignan traveled to Jerusalem where his brother, Aimery, had already married into the royal court. Due in part to Aimery’s influence, Guy climbed the Holy Land’s political ladder, soon earning the rank of Constable of Jaffa and Ascalon, a prestigious office in the Kingdom of Jerusalem. with leprosy who was not expected to reign long or produce an heir. For political purposes, Baldwin IV married his recently widowed sister, Sibylla, to Guy de Lusignan. When King Baldwin IV succumbed to leprosy in 1185, Sibylla’s only son (from her previous marriage) was crowned King Baldwin V of Jerusalem. A year after his coronation, however, the boy-king died and was succeeded by his mother and her new husband, Guy de Lusignan. In this way, the Lusignan family became a family of Crusader kings. After only two years on the throne, however, Guy and his Crusader allies suffered a devastating defeat at the Battle of the Horns of Hattin, during which the Ayyubin Egyptian sultan Salah ad-Din (a.k.a. Saladin) killed and captured the vast majority of the Crusader forces. This crippling defeat sounded the death knell of the Christian occupation of the Levant, and soon much of the Holy Land, including Jerusalem, was under Islamic control. 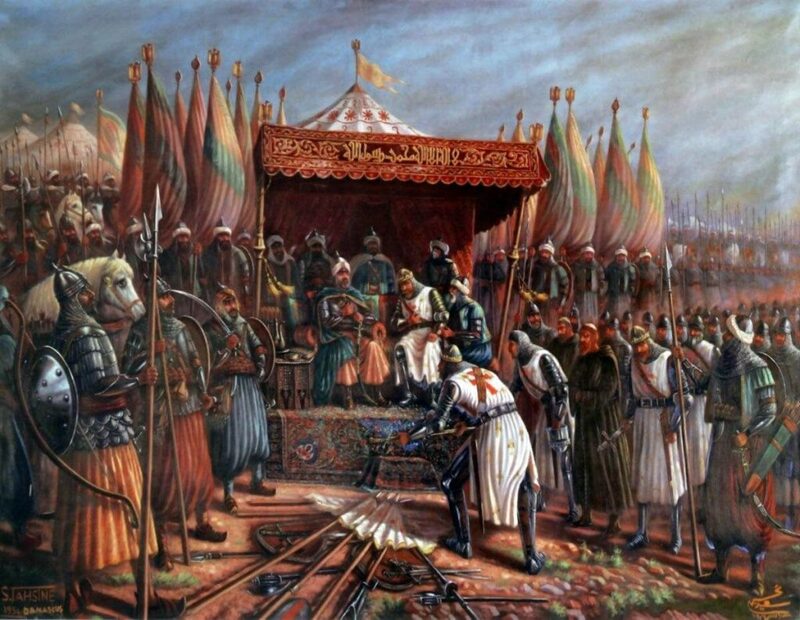 Guy de Lusignan surrenders to Salah ad-Din following the Battle of the Horns of Hattin. Guy de Lusignan, whom Salah ad-Din had taken as prisoner at the Horns of Hattin, was released from captivity in 1188. 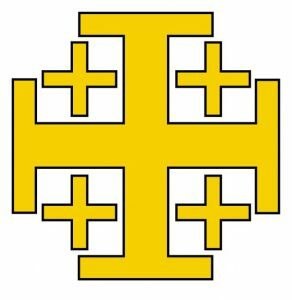 Four years later, he purchased the Crusader Kingdom of Cyprus (an island kingdom nestled in the eastern corner of the Mediterranean Sea) from the Knights Templar. Following Guy’s death, 16 generations of Lusignans carried on his regal legacy, ruling as ‘Crusader Kings’ of Cyprus. 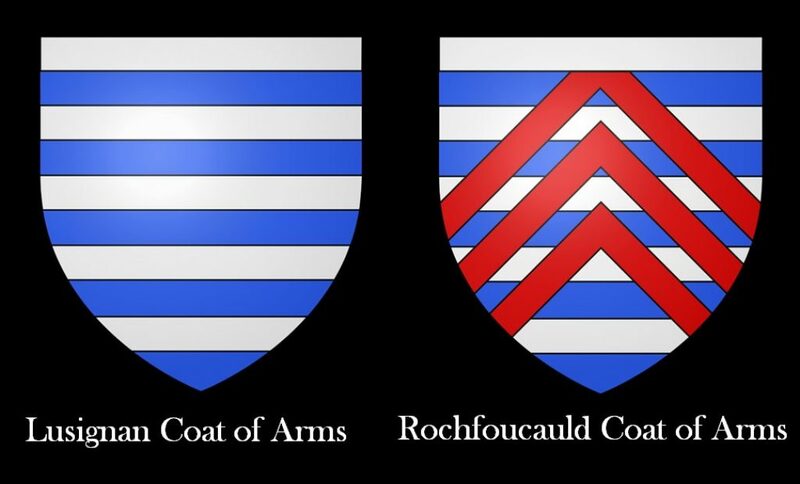 Although the connection between the La Rochefoucauld family- another French house with 10th Century origins- and the House of Lusignan is disputed by some, the La Rochefoucaulds have at least one indisputable connection with the ancient family of Crusader kings: their coat of arms consists of the blue-and-white-striped blazon of Lusignan overlaid with three red chevrons.